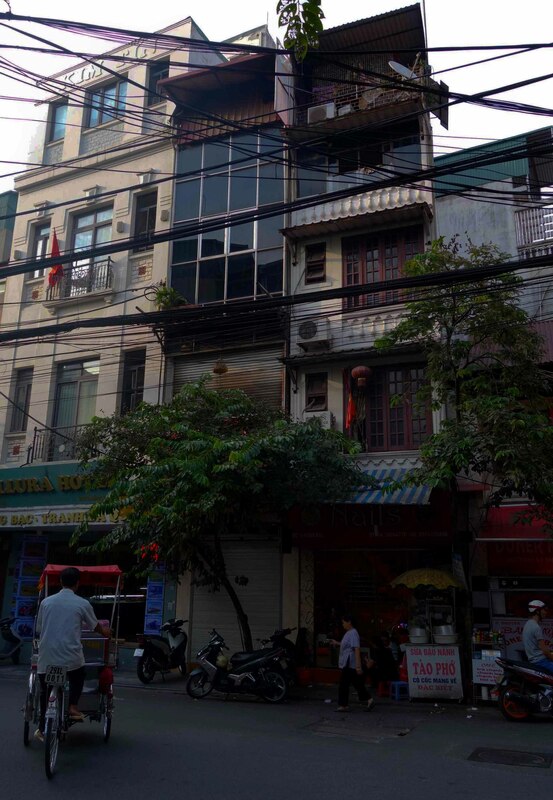 Home › Wordpress › Did I mention I LOVE Hanoi?? 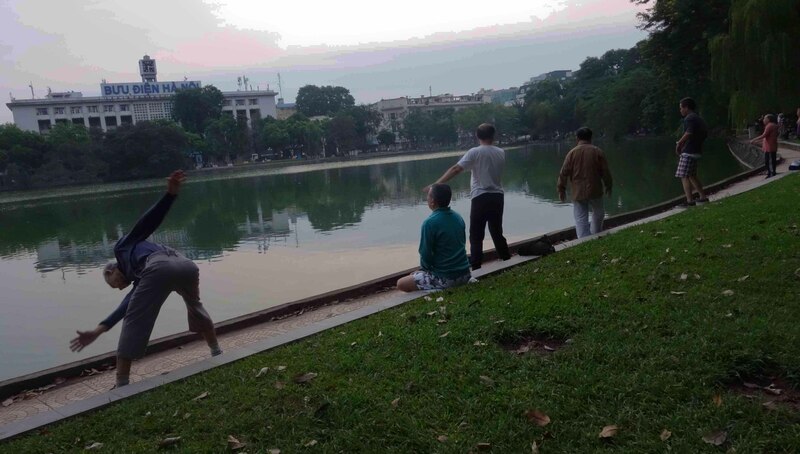 A soothing dry breeze swept me off my feet as I walked along Hanoi’s heart, Hoan Kiem Lake, settled at the center of the congested old quarter. 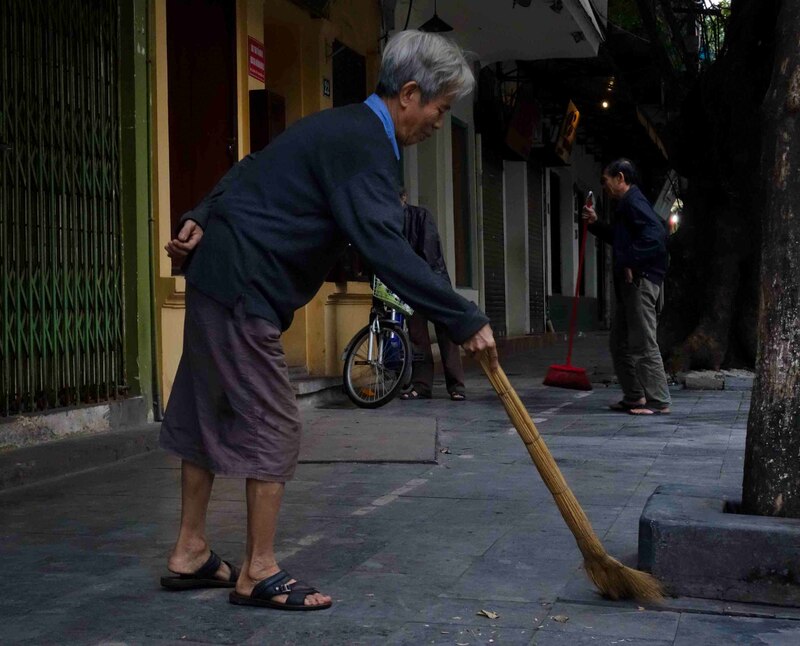 Although I was awoken every morning by government speakers’ radio blasts at 7AM outside the Aquarius Hotel on the lovely Au Trieu Street, (not as funny as Good Morning Vietnam! ), it would not deter my enjoyment. And even if Hanoians are generally a dry and unfriendly bunch, eager to scam you out of your money, I still LOVE Hanoi. Early morning sweeping the sidewalks preparing them for the rush of the day. It’s an incredibly vibrant city that seems to not have lost its village character, as all family activities take place on its sidewalks with doors wide open. 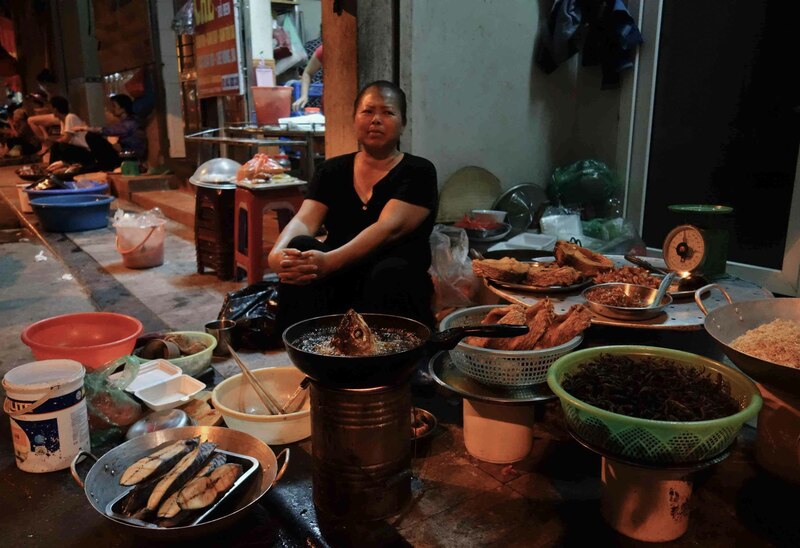 With just enough space on the streets to hold a firepot and a table with tiny plastic chairs, Hanoians hang out, people watch, cook meals, play cards, or park their gazillion motorbikes that fill the city’s arteries– a city of contradictions: chaotic while low key. Much more Chinese influenced with historically deeper communist roots, people seem closed off and protective, definitely not as friendly as in the central coast. What strikes visitors right away is the little care there is for tourists. Scamming is big business here. The moment you step off the train, bus or airplane, you must stay attentive to the ways in which you will be taken for a fool: Corrupted taximeters, incorrect change, street food vendors and tour operators’ scams. This problem makes it necessary to always arrange fees before entering a taxi, and have your GPS on to make sure they drop you off at the right place. In most cases they will just say, “Okay?” and show you the door. My Argentine-Israeli vigorous face resurfaced during my stay here. ☺ In any case, I opted for walking most of my time, which is a better way to absorb the energy of the place. Often the old quarter buildings are organized with a store or restaurant on the street level and two or three stories above for residences. Following the Chinese tax code and a desire to be near the main road for business, apartments are charged by their width. Therefore they are constructed in a tube-like fashion, which makes them very unusual, but charming. What it lacks in sights, it makes up for with great street food. 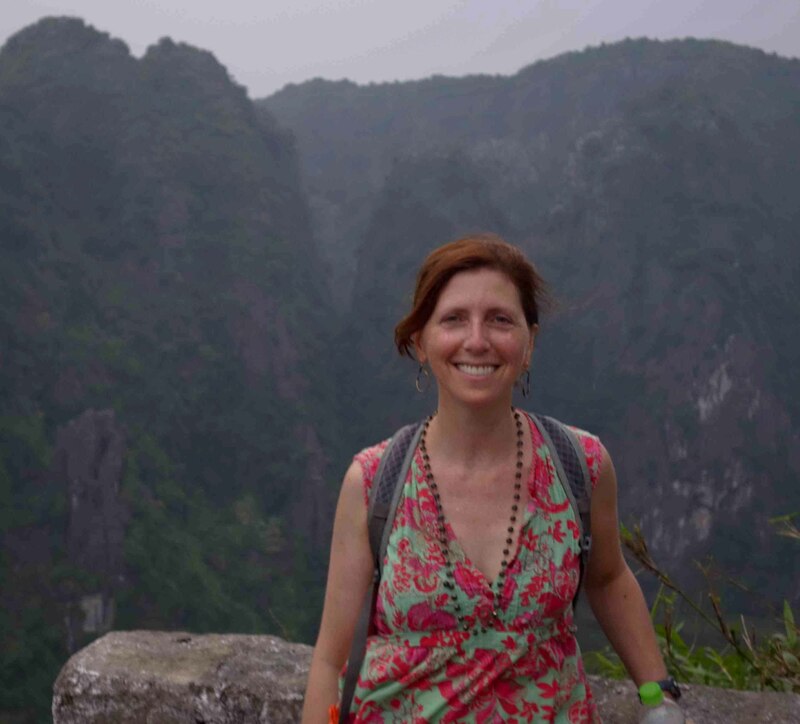 Taking a nighttime walking tour with Urban Adventures introduced me to some great street food like the amazing Banh Cuon, and Egg Coffee at a café with a secret entrance into one of the tube-like buildings that reaches a rooftop overlooking the lake. Night-market seller in the old quarter. Of the museums, my favorite was the Ethnology Museum that gave a charming insight into the ethnic minority communities of Vietnam and all of South East Asia. Later on my trip, as I was trekking around Sa Pa, and stayed amongst the Hmong People, I could understand their background and culture a bit more. 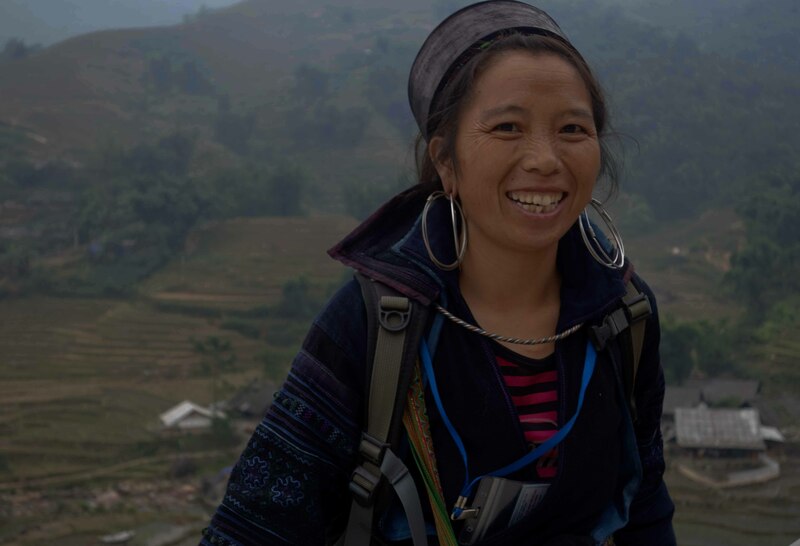 The three-day trekking trip to Sa Pa on an overnight train from Hanoi was a delightful adventure with a lovely group of six arranged by Ethnic Adventures. 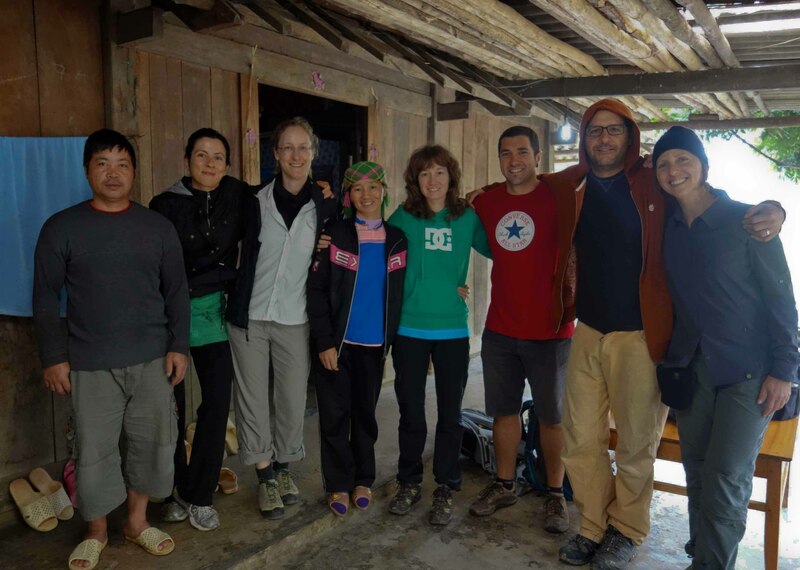 The highlight was our first night at a farm in one of the Hmong villages where we joined in making spring rolls followed by a delicious meal around the table in the farmhouse’s main room (also our shared bedroom) with the woman of the house. We drank happy water (rice wine) and learned to properly say “Bottoms up!”: moat hi bah yo! We all went to sleep happily. Best group EVER! (from left to right): Husband, Ivana, Mona, Wife, Idoia, Ion, Bradley, and me. Trang An rice fields with limestone structures. The landscape is beautiful in the Ninh Binh province with the scenic landscape of Trang An topping it. The Tam Coc river grottos and the Hoa Lu Citadel have the same limestone formations as Ha Long Bay, but on land. Nearby is the Cuc Phuong National Park with a rescue center for the endangered Languor. And, of course Ha Long Bay, which was jaw dropping both because of its magnificent beauty and because of its polluted waters. Seeing boats throw their garbage into the water made my heart sink. 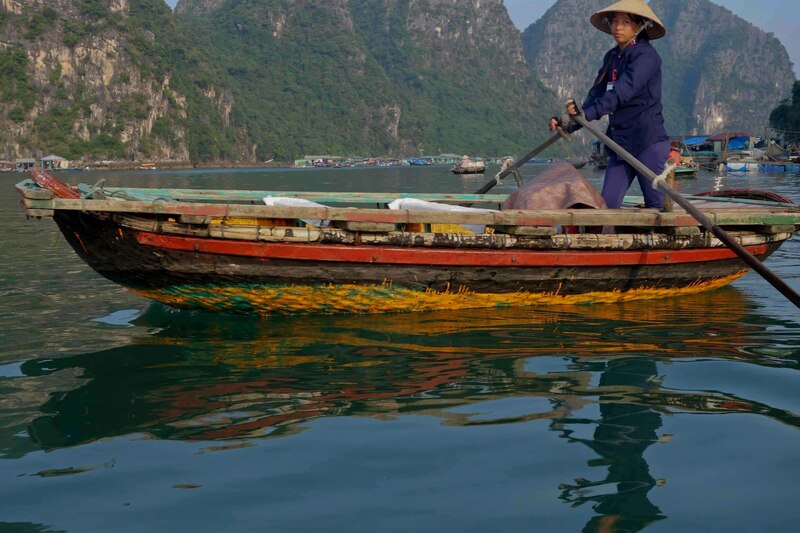 The best part was spending one night at a home stay in Bai Tu Long Bay, which was as beautiful as Ha Long Bay, but empty of tourist’s ships and therefore cleaner. Loved it! things like the deep frying fish head being cooked by the woman street vendor. Thanks Kit! I love that fish-head! The woman in question wasn’t that keen on me taking that picture! In general, people like to be asked first, and sometimes one gets a “no”… but with kids it’s easier since they love to be shown the picture after taken and have lots of fun posing. I’m trying to listen to the NPR show but fast wifi in the north of Laos is hard to find… by the way, this is an amazing country. Gorgeously green and very low key. Have trekked the hill tribes here and loved it.